Flower Duet From Lakme. 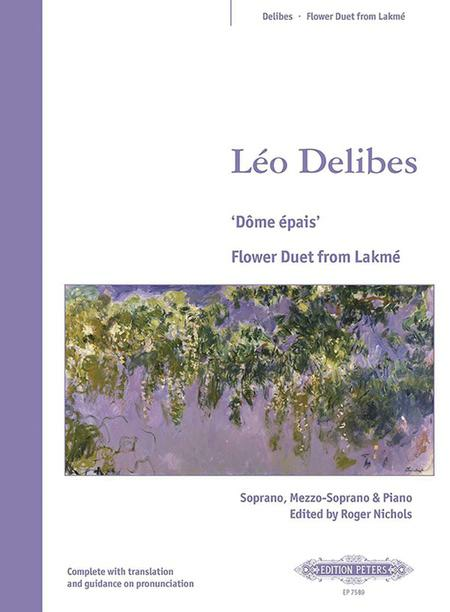 Composed by Leo Delibes (1836-1891). Edited by Roger Nichols. Vocal Duets/Trios. Classical Period. Vocal score. With duet notation, piano reduction and introductory text. 14 pages. Edition Peters #EP7589. Published by Edition Peters (PE.EP7589). Soprano and mezzo-soprano duet. Complete with translation and guidance on pronunciation. 34 of 74 people found this review helpful.